L'Ecuyer's Gourmet: Only the finest and natural ingredients!! An addition to my page on Ingredients!! 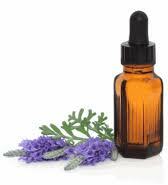 Essential Oils - Essential oils are made by distillation of the oil from the plant from which you want the fragrance. It is a hydrophobic liquid that contains volatile aroma compounds of the plant. It is essentially the 'oil' of the plant from which it comes. It is used in aromatherapy as well as in giving fragrance to many items including soaps, perfumes, incense, and more. My products will only use 100% pure organic essential oils.